Daughter of Bernadette Chaves Nunes and Aluizio Ribeiro Bastos, started her performance career as a child with the Miami Ballet and later, with the Isadora Duncan Dance Ensemble in Miami, Fl as an “Is adorable”. After receiving her BFA in Dance from New World School of the Arts, she has been performing and teaching Modern and Contemporary Dance throughout the United States, Germany and Brazil, after losing her leg in a car accident. Winner of the 2011 San Francisco “Izzies” Award for Outstanding Achievement in Performance Ensemble with Ase West Dance Theater Collective, she has also worked with the Urban Bush Women, Axis Dance Company, Deep Waters Dance Theater, Aguas Da Bahia and Ron Brown’s/ EVIDENCE. Her teaching credits include FSU/World Dance Festival, American College Dance Festival, ODC in San Francisco and various schools and arts organizations throughout the Bay Area in California, including Destiny Arts Center and Youth In Arts/ VSA. 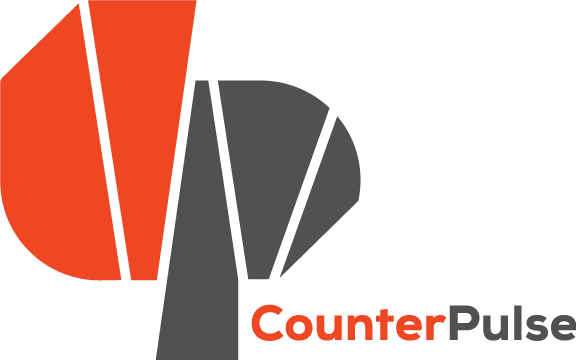 She is honored and grateful to be the current artist in residence at Counterpulse. Leymis Bolaños Wilmott is the Artistic Director, Co-founder, and a Choreographer for Sarasota Contemporary Dance. She is a recipient of the 2008 Arts Leadership Award for Artistic Achievement from the Sarasota Arts Council, the Sarasota Artist Fellowship, and was nominated by Sarasota Magazine as best choreographer in a musical for Miss Saigon presented at the Players Theatre. Wilmott received the esteemed Dance Magazine award for Southeast Best Choreographer and was listed in Sarasota Magazine as one of the top 28 Most Powerful People In The Arts. She was one of five choreographers chosen to participate in the Choreographer Intensive at Jacobs Pillow Dance Festival. In June 2014 Leymis traveled to Ramallah to teach physically integrated, choreography, and perform alongside colleague Dwayne Scheuneman, Artistic Director of REVolutions Dance. Most recently, in September of 2015, she was invited to share physically integrated dance and choreography in Argentina with Stephanie Bastos who dances with the aid of a prosthetic leg. Her work has been performed nationally at the John F. Kennedy Center, Ailey City Group Theatre in NYC, Colony Theater and Jackie Gleason in Miami, as well as other numerous theaters and festivals throughout the country. Locally, she has choreographed for the Asolo Repertory Theatre, Westcoast Black Theater Troupe, Kaleidoscope, St. Petersburg College, Booker High School VPA, North Port High School, Riverview High School IB, Lakeview Elementary, Gocio Elementary, and Electa Lee Middle School. Wilmott continues to collaborate with renowned composer Edward Cosla, percussionist Scott Blum, Salvador Dalí Museum, and with Francis Schwartz on Kinda Cage-y which has been seen all over the world as part of the John Cage Trust. Ms. Wilmott was the first to receive a certificate in Dance and Healing from the University of Florida and has a Master of Fine Arts in Performance/Choreography from The Florida State University. Her deep love for dance and community building came to fruition in 2006 when she and Rachel Inman founded Fuzión Dance Artists, now known as Sarasota Contemporary Dance. She continues to advocate as a Teaching Artist with the Arts and Cultural Alliance of Sarasota (EdExplore), the Van Wezel Performing Arts, and Manatee Arts Council. She is also an Adjunct Professor of Dance at New College of Florida, certified Pilates Instructor at The Pilates Body, and currently serving as Vice President of the Florida Dance Association. She is proud wife to a supportive husband Kavin Wilmott and mother to six year old Charles Edward.